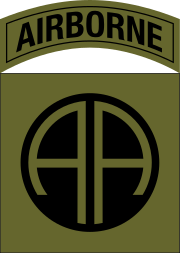 7.7 Operation Iraqi Freedom, 2006–09, "The Surge"
The 82nd Division was first constituted on 5 August 1917 during World War I in the National Army. 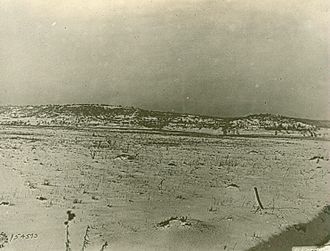 It was organized and formally activated on 25 August 1917 at Camp Gordon, Georgia. 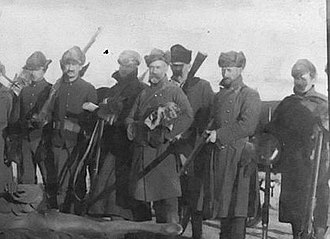 The division consisted entirely of newly conscripted soldiers. The citizens of Atlanta held a contest to give a nickname to the new division. Major General Eben Swift, the commanding general, chose "All American" to reflect the unique composition of the 82nd—it had soldiers from all 48 states. 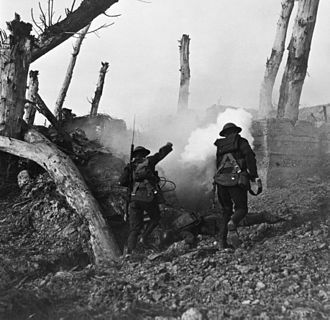 The bulk of the division was two infantry brigades, each commanding two regiments. The 163rd Infantry Brigade commanded the 325th Infantry Regiment and the 326th Infantry Regiment. The 164th Infantry Brigade commanded the 327th Infantry Regiment and the 328th Infantry Regiment. Also in the division were the 157th Field Artillery Brigade, composed of the 319th, 320th and 321st Field Artillery Regiments and the 307th Trench Mortar Battery; a divisional troops contingent, and a division train. 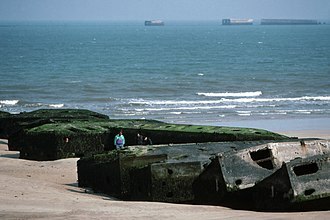 It sailed to Europe to join the American Expeditionary Force (AEF), commanded by General John Pershing, on the Western Front. 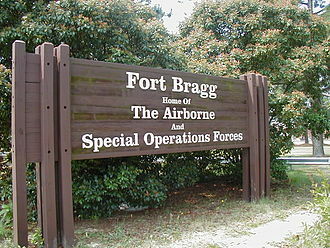 Seven months later the paratroopers of the 82nd Airborne Division were again called to war. 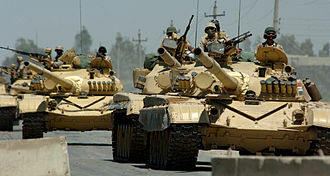 Four days after the Iraqi invasion of Kuwait on 2 August 1990, the 4th Battalion (Airborne), 325th Infantry was the Division Ready Force 1 (DRF-1) and the initial ground force, as President George Bush's "Line in the Sand" speech to Saddam Hussein part of the largest deployment of American troops since Vietnam as part of Operation Desert Shield. The 4-325th INF immediately deployed to Riyadh, Saudi Arabia. Their role was to guard the royal family as part of the agreement with King Faud to station troops in the kingdom. 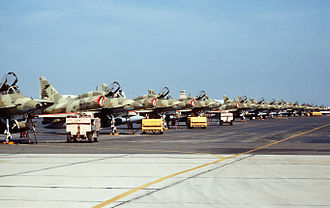 The DRF 2 and 3 (1-325 and 2-325 INF, respectively) began drawing the "line in the sand" near al Jubail by building defenses for possible retrograde operations. Soon after, the rest of the division followed. 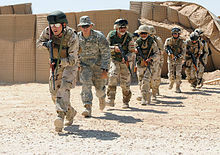 There, intensive training began in anticipation of desert fighting against the heavily armored Iraqi Army. 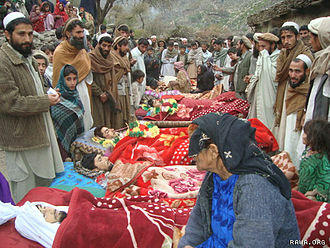 Operation Iraqi Freedom, 2006–09, "The Surge"
In January 2007, then Maj. Gen. David M. Rodriguez deployed the division headquarters to Bagram, Afghanistan, accompanied by 4th BCT and the Aviation Brigade, as Commander, Combined Joint Task Force-82 (CJTF-82)and Regional Command - East for Operation Enduring Freedom VIII. 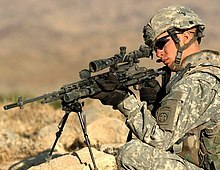 The 3d BCT, 10th Mountain Division (Light Infantry) was extended for 120 days to increase the troop strength against the Taliban spring offensive. 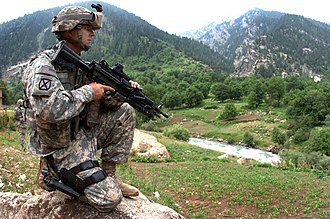 Extended to 15-month deployment, 4th BCT, which included 1–508th Infantry Regiment, 2–508th Infantry Regiment, and 4th Squadron, 73rd Cavalry Regiment, was commanded by then Col. Martin P. Schweitzer and remained in Khowst Province from January 2007 until April 2008. The 2–508th IR worked to establish and maintain firebases in and around the Ghazni province while actively patrolling their operational area. The 1-508 PIR served in Regional Command-South. Working mostly out of Kandahar province as the theater tactical force, they mentored the Afghan National Security Force, conducted combined operations with both ANSF and NATO partners in the Helmand province. 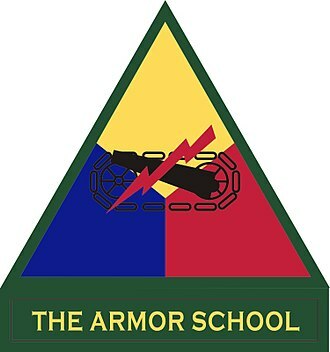 Supporting the division were the 36th Engineer Brigade, and the 43d Area Support Group. ^ N.C, Drew Brooks, The Fayetteville Observer (2017-09-21). "More Than 2,000 Paratroopers Deployed To Afghanistan On Short Notice". Task & Purpose. Retrieved 2018-09-06. ^ "1st Brigade marks end of deployments to Afghanistan, Kosovo - News - The Fayetteville Observer - Fayetteville, NC". Retrieved 2018-09-06. ^ "Coat of Arms". Tioh.hqda.pentagon.mil. 2006-08-01. Retrieved 2014-07-21. 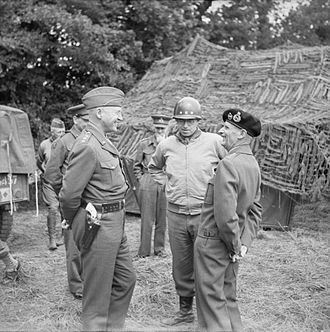 After the war, Bradley headed the Veterans Administration and became Army Chief of Staff. In 1949, Bradley was appointed the first Chairman of the Joint Chiefs of Staff, Bradley was the last of only nine people to hold a five-star rank in the United States Armed Forces. Bradley, the son of schoolteacher John Smith Bradley and Mary Elizabeth Hubbard, was born into poverty in rural Randolph County, near Clark, Bradley was named after Omar D. Gray, a local newspaper editor admired by his father, and a local doctor called Nelson. He was of British ancestry, his ancestors having migrated from Great Britain to Kentucky in the mid-1700s and he attended country schools where his father taught. When Omar was 15 his father, with whom he credited passing on to him a love of books and shooting and his mother moved to Moberly and remarried. Bradley graduated from Moberly High School in 1910, an outstanding student, Bradley had been planning on saving his money to enter the University of Missouri in Columbia, where he intended to study law. 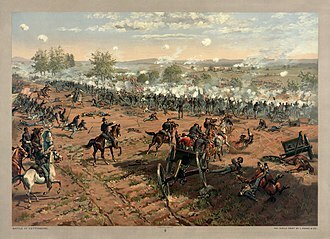 He finished second in the West Point placement exams at Jefferson Barracks Military Post in St. Louis, the first-place winner was unable to accept the Congressional appointment, and so Bradley took his place. While at the academy, Bradleys devotion to sports prevented him from excelling academically and he was a baseball star, and often played on semi-pro teams for no remuneration. While stationed at West Point as an instructor, Bradley became a Freemason in 1923, becoming a member of the West Point Lodge #877, Highland Falls, Bradleys first wife, Mary Quayle, grew up across the street from him in Moberly. The pair attended Central Christian Church and Moberly High School together, Moberly called Bradley its favorite son and throughout his life Bradley called Moberly his hometown and his favorite city in the world. At West Point, Bradley played three years of varsity baseball including on the 1914 team, from every player who remained in the army ultimately became a general. He graduated from West Point in 1915 as part of a class that contained many future generals, John French Conklin, Walter W.
Georgia is a state in the southeastern United States. It was established in 1733, the last of the original Thirteen Colonies, named after King George II of Great Britain, Georgia was the fourth state to ratify the United States Constitution, on January 2,1788. It declared its secession from the Union on January 19,1861 and it was the last state to be restored to the Union, on July 15,1870. 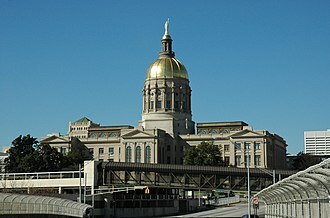 Georgia is the 24th largest and the 8th most populous of the 50 United States, from 2007 to 2008,14 of Georgias counties ranked among the nations 100 fastest-growing, second only to Texas. Georgia is known as the Peach State and the Empire State of the South, Atlanta is the states capital, its most populous city and has been named a global city. Georgia is bordered to the south by Florida, to the east by the Atlantic Ocean and South Carolina, to the west by Alabama, the states northern part is in the Blue Ridge Mountains, part of the Appalachian Mountains system. Georgias highest point is Brasstown Bald at 4,784 feet above sea level, Georgia is the largest state entirely east of the Mississippi River in land area. 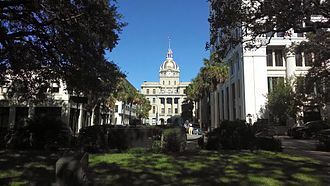 Before settlement by Europeans, Georgia was inhabited by the mound building cultures, the British colony of Georgia was founded by James Oglethorpe on February 12,1733. The colony was administered by the Trustees for the Establishment of the Colony of Georgia in America under a charter issued by King George II. The Trustees implemented a plan for the colonys settlement, known as the Oglethorpe Plan. In 1742 the colony was invaded by the Spanish during the War of Jenkins Ear, in 1752, after the government failed to renew subsidies that had helped support the colony, the Trustees turned over control to the crown. Georgia became a colony, with a governor appointed by the king. 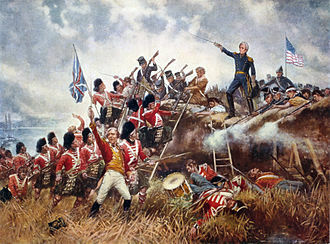 The Province of Georgia was one of the Thirteen Colonies that revolted against British rule in the American Revolution by signing the 1776 Declaration of Independence, the State of Georgias first constitution was ratified in February 1777. Georgia was the 10th state to ratify the Articles of Confederation on July 24,1778, in 1829, gold was discovered in the North Georgia mountains, which led to the Georgia Gold Rush and an established federal mint in Dahlonega, which continued its operation until 1861. 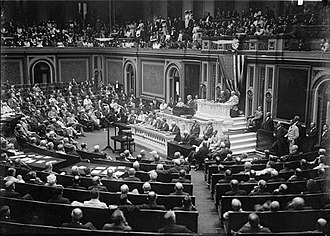 The United States Senate is the upper chamber of the United States Congress which, along with the House of Representatives, the lower chamber, composes the legislature of the United States. The composition and powers of the Senate are established by Article One of the United States Constitution. 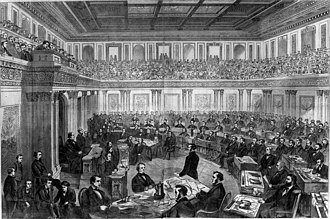 S. From 1789 until 1913, Senators were appointed by the legislatures of the states represented, following the ratification of the Seventeenth Amendment in 1913. The Senate chamber is located in the wing of the Capitol, in Washington. 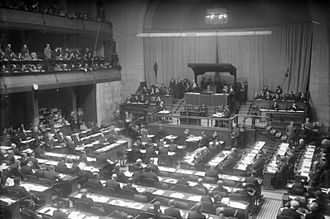 It further has the responsibility of conducting trials of those impeached by the House, in the early 20th century, the practice of majority and minority parties electing their floor leaders began, although they are not constitutional officers. 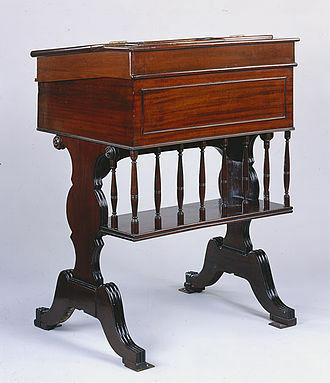 This idea of having one chamber represent people equally, while the other gives equal representation to states regardless of population, was known as the Connecticut Compromise, there was a desire to have two Houses that could act as an internal check on each other. One was intended to be a Peoples House directly elected by the people, the other was intended to represent the states to such extent as they retained their sovereignty except for the powers expressly delegated to the national government. The Senate was thus not designed to serve the people of the United States equally, the Constitution provides that the approval of both chambers is necessary for the passage of legislation. 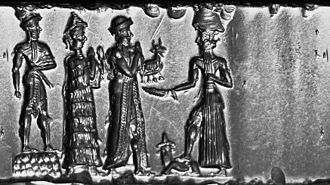 First convened in 1789, the Senate of the United States was formed on the example of the ancient Roman Senate, the name is derived from the senatus, Latin for council of elders. James Madison made the comment about the Senate, In England, at this day, if elections were open to all classes of people. An agrarian law would take place. If these observations be just, our government ought to secure the permanent interests of the country against innovation, landholders ought to have a share in the government, to support these invaluable interests, and to balance and check the other. Colonel is a senior military officer rank below the general officer ranks. 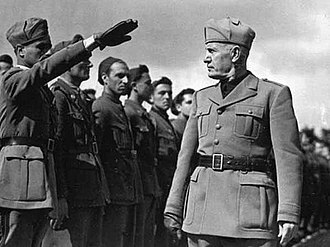 However, in small military forces, such as those of Iceland or the Vatican. It is used in police forces and paramilitary organizations. Historically, in the seventeenth and nineteenth centuries, a colonel was typically in charge of a regiment in an army, the rank of colonel is typically above the rank of lieutenant colonel. 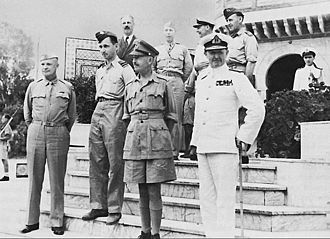 The rank above colonel is typically called brigadier, brigade general or brigadier general, equivalent naval ranks may be called captain or ship-of-the-line captain. In the Commonwealth air force rank system, the equivalent rank is group captain, the word colonel derives from the same root as the word column and means of a column, and, by implication, commander of a column. The word colonel is therefore linked to the column in a similar way that brigadier is linked to brigade. 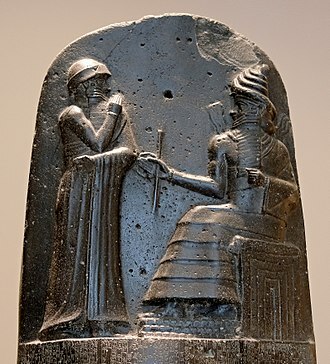 By the end of the medieval period, a group of companies was referred to as a column of an army. Since the word is believed to derive from sixteenth-century Italian, it was presumably first used by Italian city states in that century. The first use of colonel as a rank in an army was in the French National Legions created by King Francis I by his decree of 1534. Building on the reforms of Louis XIIs decree of 1509. Each colonel commanded a legion with a strength of six thousand men. With the shift from primarily mercenary to primarily national armies in the course of the seventeenth century, the Spanish equivalent rank of coronel was used by the Spanish tercios in the 16th and 17th centuries. Gonzalo Fernández de Córdoba, nicknamed the Great Captain, divided his armies in coronelías or colonelcies, the Spanish word probably derives from a different origin, in that it appears to designate an officer of the crown, rather than an officer of the column. This makes the Spanish word coronel probably cognate with the English word coroner and this regiment, or governance, was to some extent embodied in a contract and set of written rules, referred to as the colonels regiment or standing regulation. 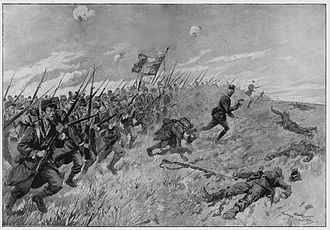 By extension, the group of companies subject to a colonels regiment came to be referred to as his regiment as well, the position, was primarily contractual and it became progressively more of a functionless sinecure. The Korean War began when North Korea invaded South Korea. 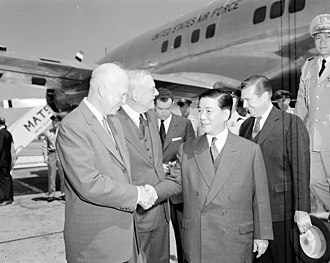 The United Nations, with the United States as the principal force, China came to the aid of North Korea, and the Soviet Union gave some assistance. Korea was ruled by Japan from 1910 until the days of World War II. 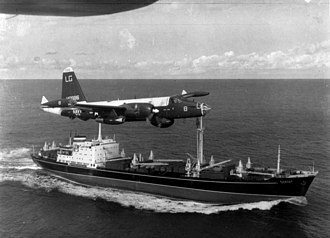 In August 1945, the Soviet Union declared war on Japan, as a result of an agreement with the United States, U. S. forces subsequently moved into the south. By 1948, as a product of the Cold War between the Soviet Union and the United States, Korea was split into two regions, with separate governments, both governments claimed to be the legitimate government of all of Korea, and neither side accepted the border as permanent. 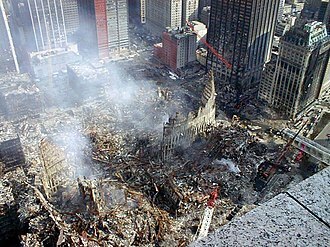 The conflict escalated into open warfare when North Korean forces—supported by the Soviet Union, on that day, the United Nations Security Council recognized this North Korean act as invasion and called for an immediate ceasefire. 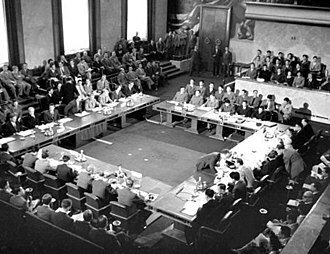 On 27 June, the Security Council adopted S/RES/83, Complaint of aggression upon the Republic of Korea and decided the formation, twenty-one countries of the United Nations eventually contributed to the UN force, with the United States providing 88% of the UNs military personnel. 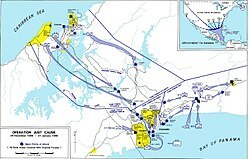 After the first two months of war, South Korean forces were on the point of defeat, forced back to the Pusan Perimeter, in September 1950, an amphibious UN counter-offensive was launched at Inchon, and cut off many North Korean troops. Those who escaped envelopment and capture were rapidly forced back north all the way to the border with China at the Yalu River, at this point, in October 1950, Chinese forces crossed the Yalu and entered the war. Chinese intervention triggered a retreat of UN forces which continued until mid-1951, after these reversals of fortune, which saw Seoul change hands four times, the last two years of fighting became a war of attrition, with the front line close to the 38th parallel. The war in the air, was never a stalemate, North Korea was subject to a massive bombing campaign. Jet fighters confronted each other in combat for the first time in history. 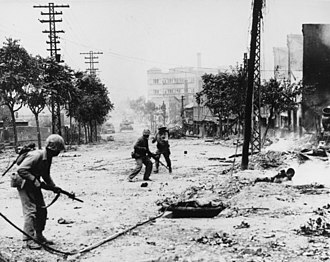 The fighting ended on 27 July 1953, when an armistice was signed, the agreement created the Korean Demilitarized Zone to separate North and South Korea, and allowed the return of prisoners. 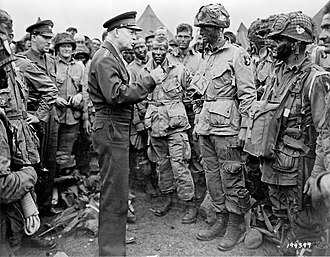 Dwight D. Eisenhower speaks with American paratroopers of the 502nd Parachute Infantry Regiment, 101st Airborne Division on the evening of June 5, 1944. 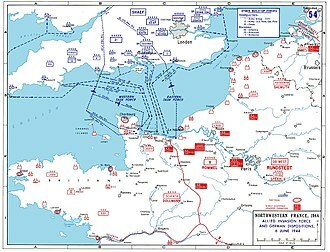 September 5, 1943. 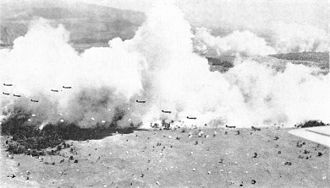 C-47 transport planes, silhouetted against clouds of smoke created to provide cover, drop a battalion of the U.S. 503d Parachute Regiment and elements of the Australian Army's 2/4th Field Regiment at Nadzab, New Guinea, during the Battle of Lae. A battalion dropped minutes earlier is landing in the foreground. Royal Marines Commandos preparing to abseil down from a Royal Marines Lynx helicopter from 847 Naval Air Squadron (NAS), used in utility support of 3 Commando Brigade. They can also act as attack helicopters with the addition of two pods of four TOW wire-guided anti-tank missiles. Extraction of troops after an airmobile assault during the Vietnam War. 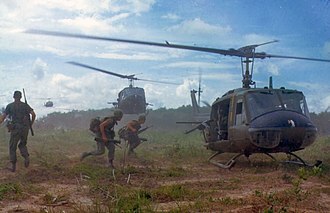 Troops dismounting a UH-1 during the Vietnam War. 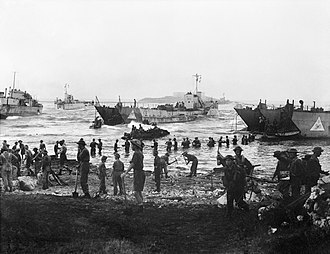 Troops and vehicles being landed under shell fire during the invasion of mainland Italy at Salerno, September 1943. General Montgomery salutes his troops from a DUKW, Reggio, Italy, September 1943. 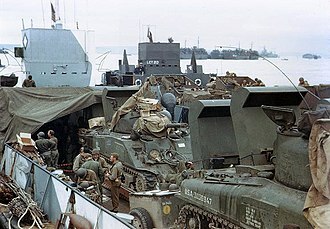 U.S. Navy tank landing craft offloads a U.S. Army jeep at Salerno. 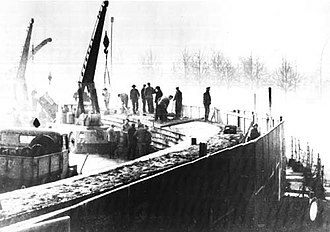 The crossing of the Rhine between 22 and 28 March 1945. 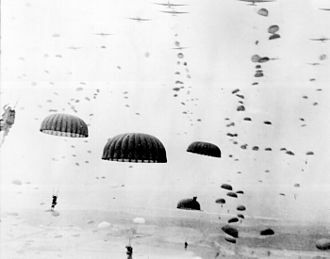 Douglas C-47 transport aircraft drop hundreds of paratroopers on 24 March as part of Operation Varsity. 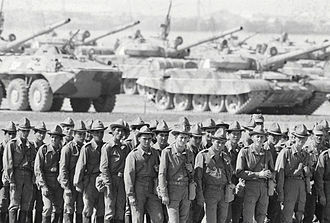 U.S. soldiers prepare to take La Comandancia in the El Chorrillo neighborhood of Panama City, in December 1989. 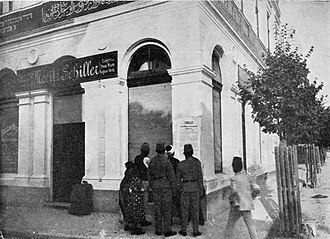 Disorder continued for nearly two weeks, and 20,000 people were displaced from their homes. A British paratrooper from the 3rd Battalion, Parachute Regiment comes in to land on a Spanish drop zone during Exercise Iberian Eagle. 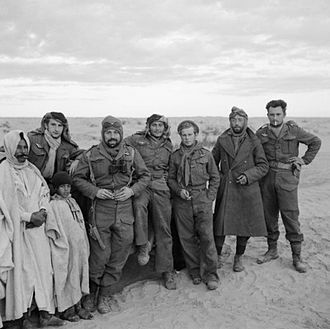 Members of the 1st Marine Infantry Parachute Regiment during the Second World War, (Free French SAS). Come on in, America, the Blood's Fine! (1917) by M.A. 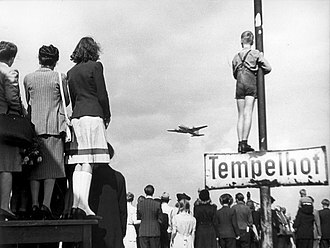 Kempf. 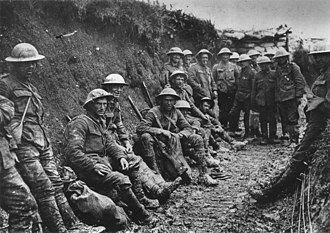 The song "I Didn't Raise My Boy To Be A Soldier" was a hit in 1915, selling 650,000 copies. 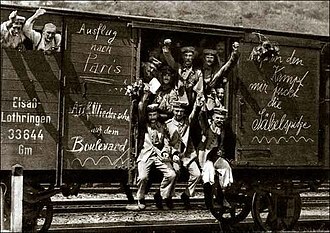 Its expression of popular pacifist sentiment "helped make the pacifist movement a hard, quantifiable political reality to be reckoned with." U.S. Army Sergeant Alvin C. York after his return to his Tennessee home. His mother is pouring water into the basin and his younger sister is standing on the cabin's back porch. 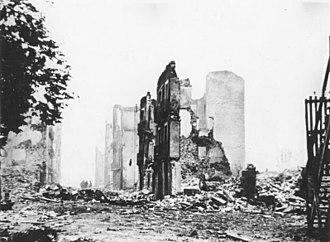 York turned down many lucrative offers, including one worth $30,000 to appear in vaudeville, to return to the life he had known before the war.